Here at Lumber City Pizza we pride ourselves on providing the people of North Tonawanda with great food and excellent service. In addition to our pizza takeout and delivery, we offer dine-in eating, a full bar, on-site banquets and drop-off catering. Each of our four dining areas features a distinct hand painted mural and a comfortable atmosphere. 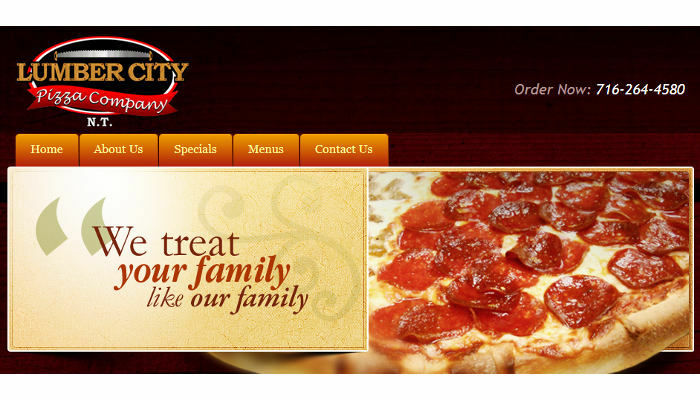 Take a look at our take-out, banquet, and catering menus for all that we have to offer. We are located at 1269 Erie Avenue in North Tonawanda, New York right at the corner of Sisson Drive.